Jordan Parsons dies following a hit-and-run. Sad news! Bad news! 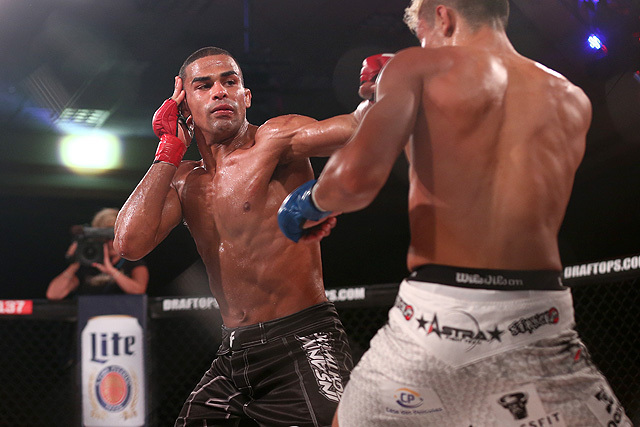 Bellator MMBA fighter Jordan Parsons dies following a hit-and-run. Parson who was hospitalized since Saturday was in critical condition as he was hit by an SUV while crossing the intersection at the Delray beach, Florida. In order to save his life, half of his right leg was amputated but that effort was too in vain. The official reports are out that Jordan Parson lost the battle for his life this Wednesday. Not only his family and friends but the entire MMA federation and his fans mourn his tragic death. The culprit is still at large. The only evidence left of the vehicle was the damaged side mirror. The police have offered $1000 for any person who is able to provide any relevant information. “Whoever did this, they left him to die, they left him to die,” said Parson’s Coach Neil Melanson. “The team is pretty devastated, the guy was a hardworking, clean-living kind of guy”, he added. According to him, Parson was crossing the street with his headphones on when the silver Range Rover struck him and fled the scenes. Delray Beach Police are still working to identify a suspect. Parson was only 25 and had a great boxing career ahead of himself. The death of this Featherweight MMA fighter has greatly struck the sports industry and just prior to his match on 14th May in San Jose, California.